Sicario is a pretty intense movie has a ‘Zero Dark Thirty’ kind of touch as it is Go let’s get him kind of movie but this time it is the Drug cartel head. Benicio del Toro, Emily Hunt and Josh Brolin give stellar performances and you are on the edge of your seat through out the movie. Sicario means hitman in spanish. 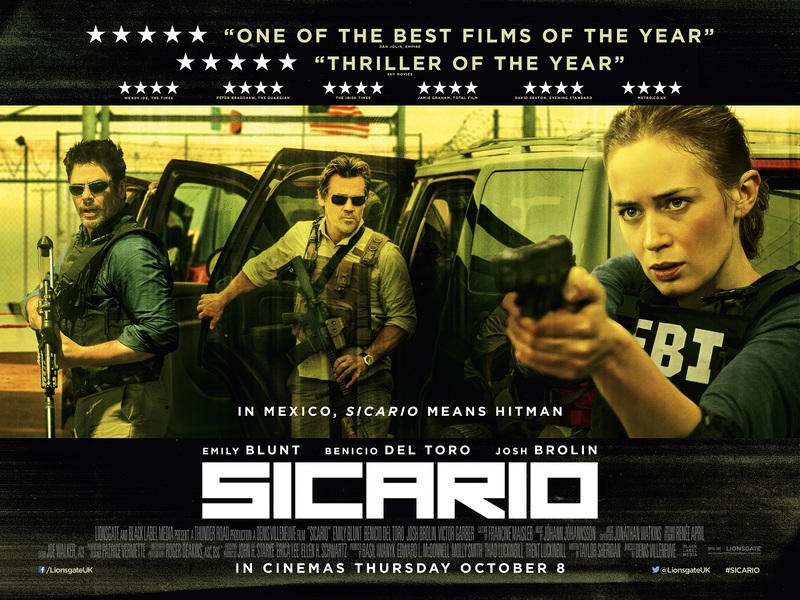 You want to know the plot you can check on wiki https://en.wikipedia.org/wiki/Sicario_(2015_film) no point writing here as well.. I think the movie is a limited release.. catch it in theatre… not necessarily a theatre movie like San Andreas or Jurassic park where the special effects is to be seen… but you know what.. movies should be watched in theatres… 🙂 You remember the movie Traffic..?